Okay, I must admit I cheated with this one. This isn't an original idea from me. I saw this at a con and just couldn't believe how much they were selling this cool hair accessory for. 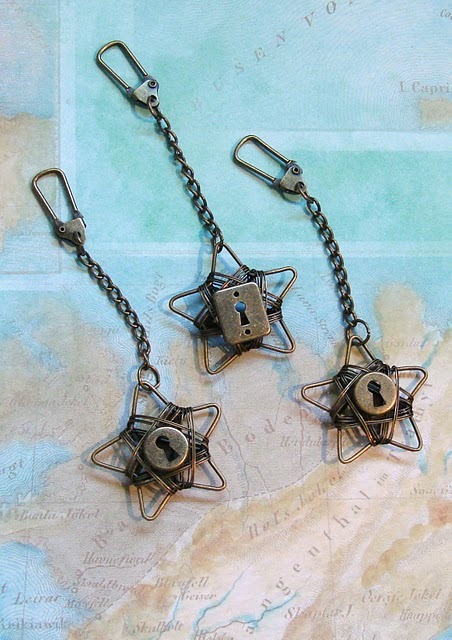 So I went to my local craft store and bought the same wire star, then headed over to the braid section for some key holes and attached it to a key chain (instead of making it into an hair ornament). Hurray for stars! Awesome and inexpensive design.